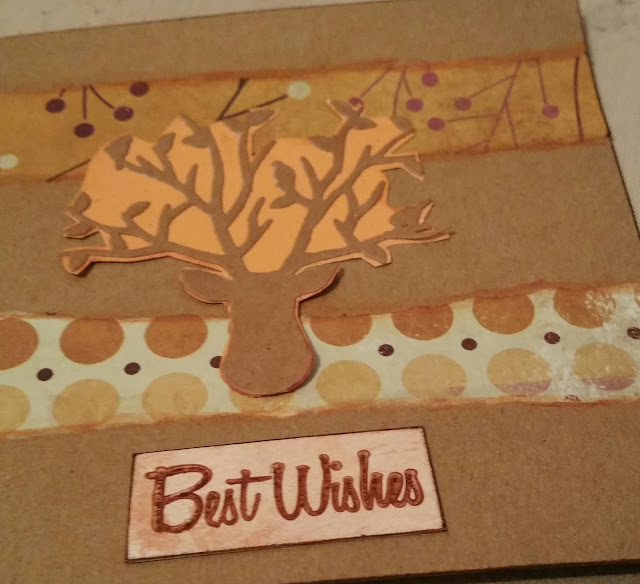 So continuing on with CAS-ual Friday's Challenge - 160 - orange, brown & craft and my new die, my second card for this challenge. 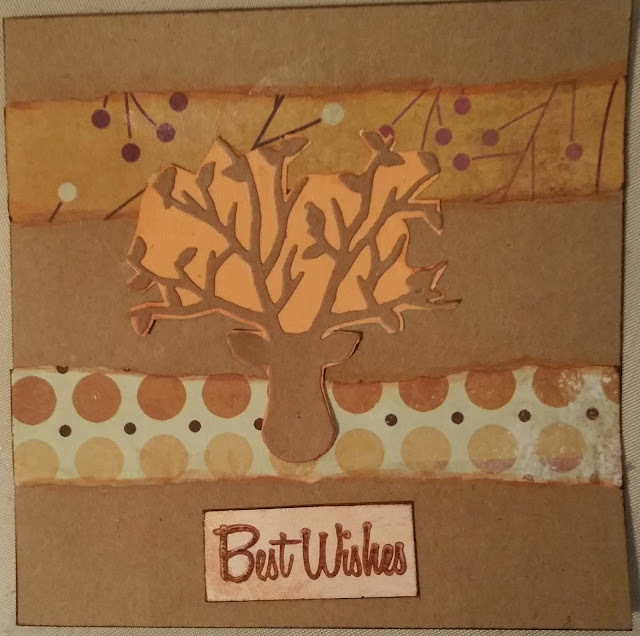 I used two scrap booking papers, ripped and edged with Inktense pencils. I mounted the deer tree onsome orange card stock and then trimmed and added the sentiment.